There’s no limit to what’s possible through personal development. Today we’re going to share some of the insights and tips we’ve learned from one of the best personal development coaches there is, Michael Bernoff! One of the core techniques Michael starts with is to be clear on your outcome for whatever it is you’re doing. 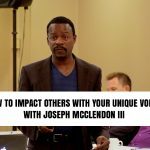 As an example, our outcome for this episode is to give you some great techniques that you can immediately implement in your life to be more effective, more influential, and more confident. This is incredibly important for entrepreneurs. It’s easy to become unfocused or get distracted from the highest and most important outcome you need to focus on as a business owner. From there, another technique is what we call your “moment on fire”. Think of a moment you felt absolutely incredible. It might be the first time you held your child, or the day you crossed the finish line at an Ironman, or a time you nailed a performance in front of an audience. The key is, it has to be one particular moment in time, a split second. Take a moment and come up with you moment. Think about how you felt when it happened, see what you saw, hear what you heard, real relive the moment. When was the last time you thought about that? How do you feel now that you’re thinking about that? All you have to do to change your state of mind from being in a funk or out of alignment to being sharp, focused, confident and “on” is to think about your moment on fire. And, now that you’re consciously aware of the moment on fire technique, you can start to find more of them in your life as they happen and even categorize them. If you have moment when you felt courageous you tap into that when you need it, or happy, or in love, and so on. Try out these techniques today and stay tuned for more tips like this in future episodes! Like these personal development tips? If so, leave us a comment below and tell us what your moment on fire is! “How to Get in the Zone and Stay There Longer” HERE!